Update! Identity of Young Couple found! 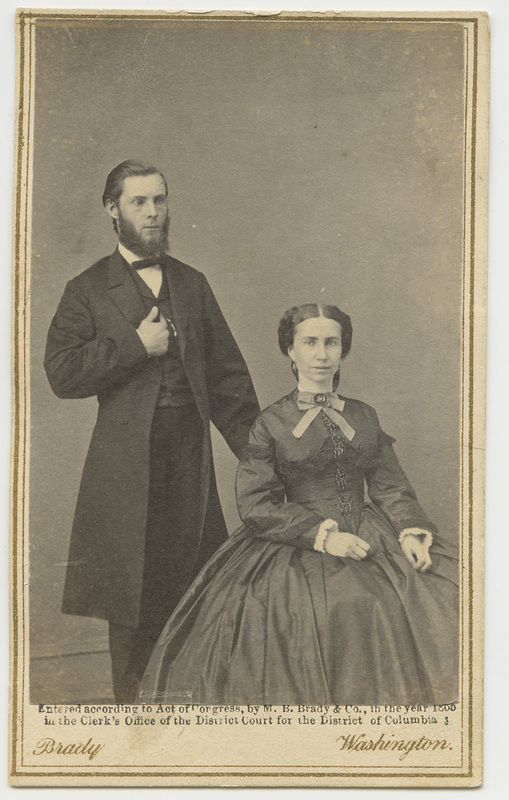 The young couple in the previous post are Clara Barton and John J. Elwell, the young man she was linked to romantically. While there is no evidence that they were ever sexually intimate, some time after the war, General Elwell wrote to her that he loved her “all the law allows (and a little more perhaps)”. 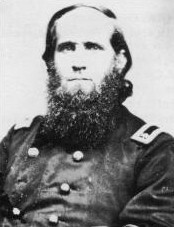 What exactly that meant remains the realm of speculation, as it is certainly cryptic by intent; General Elwell was a married man. 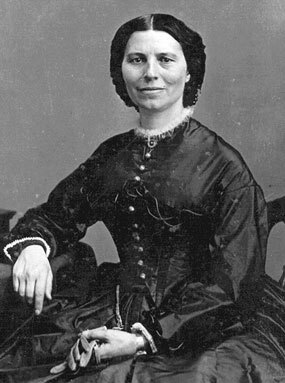 Given that he was married at the time of his association with Clara Barton, this photograph becomes an act of bravery and defiance (or brazenness depending on your take of Victorian social mores), although perhaps it could have been passed off as innocent as Ms. Barton and General Elwell both served together in South Carolina at the assault on Fort Wagner, he with the Quartermaster’s Corps, she as a civilian nurse. Certainly at the time she was already famous, and he would have been so as well by the time the photo was taken in 1865, so it may have been at Mathew Brady’s urging that they posed together or it may have been of their own choosing. Previous PostPortrait of a young couple, by Brady, Washington DCNext Post2nd Prize, Rangefinder Magazine B&W/ Alternative Process contest! I agree, this is not Clara Barton. Having seen dozens of photos of Clara, I can instantly see that the faces doesn’t match up with the known portrait of Clara by Mathew Brady in 1865. Those two photos were posed so nearly exactly alike that they are excellent examples for use in facial feature distance comparisons. I have provided an image to go along with my analysis below. See http://www.tampapix.com/bartoncomparison.htm. If you resize the photos so that the distance from the pupils to the tip of the nose is equal (blue lines), you can see that the chins don’t line up. Clara had a slight cleft in her chin, the woman on the left does not. Clara had moles on her cheeks on each side of her nose, the woman at left does not. Clara has a much rounder face and the shape of her eyes are completely different. Clara’s eyelids droop down at the outer ends, the woman’s eyes on the left do not, nor do her eyebrows. When you resize the photos so that the distance between the pupils are the same (blue lines), then measure the distance from the pupils to the nostrils to the lips, they do not line up. The green lines are duplicated exactly the same size for both photos. The vertical distance from Clara’s eyes to her nose to her mouth represents a smaller ratio than that of the woman on the left. Meaning that Clara’s eyes are wider apart relative to the distance to her nose and mouth when compared to the woman on the left. The only similarity between these two women is their hairstyle and dress, both of which were common to thousands of women in Washington during the Civil War period.